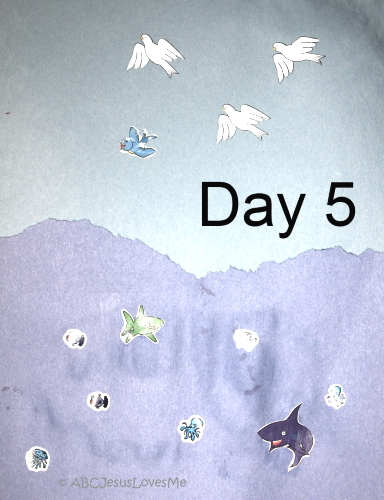 - On a light blue piece of construction paper place a bird in the sky. Add a darker blue half sheet to the bottom of the background piece for water. Add a fish to this section. Add the number "5" to the page. 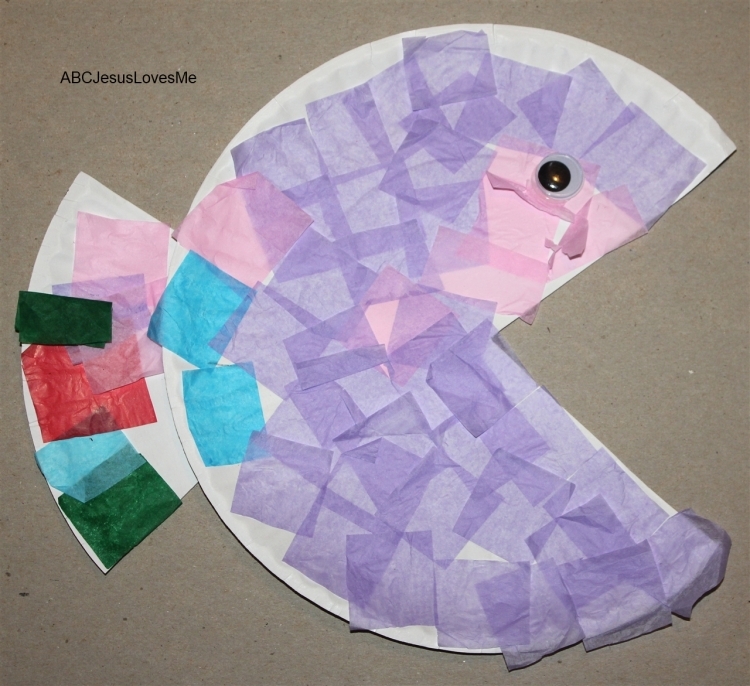 - Fish - Cut a triangle out of a paper plate to make a fish's mouth. 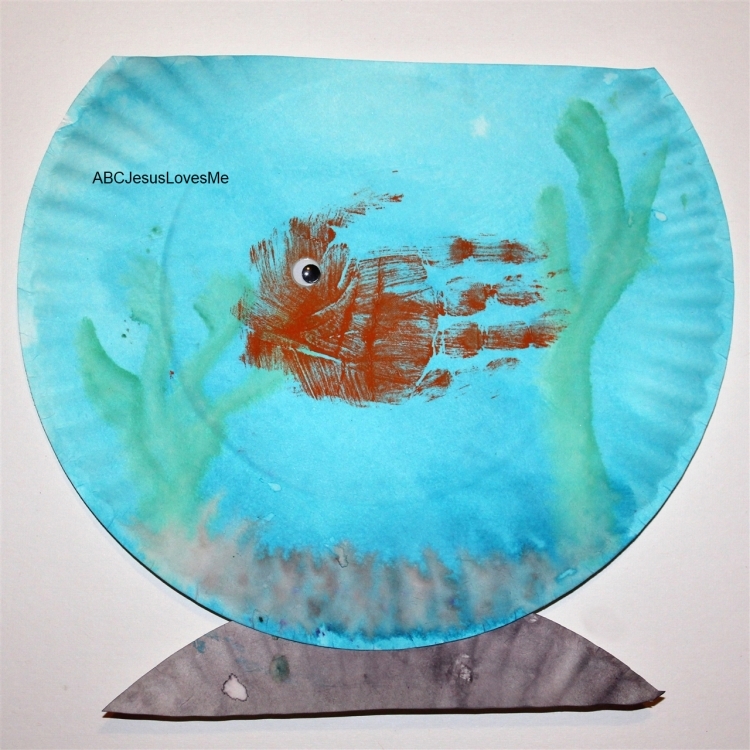 Glue the triangle on the back of the paper plate to make the fish's tail. Glue on squares of tissue paper or paint. Add a googly eye. - Fish Bowl - Cut off the top inch of a paper plate. Paint the cut-off portion black. Paint the rest of the circle blue. Let dry. Staple or glue the cut-off piece onto the bottom of the large piece to form a platform and a fish bowl. Paint ocean plants. Paint the child's hand to create a handprint fish for the aquarium. Add a goggly eye for the fish. Or, add fish stickers and ocean plants to create the look of a fish bowl. 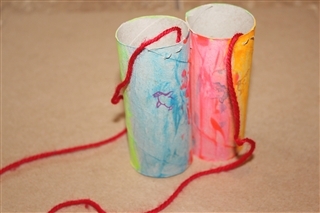 - Bird Watching - Make binoculars to look at the birds. Cut a paper towel roll in half or use two toilet paper rolls. Staple two together. Punch a hole on each outside roll towards the top. 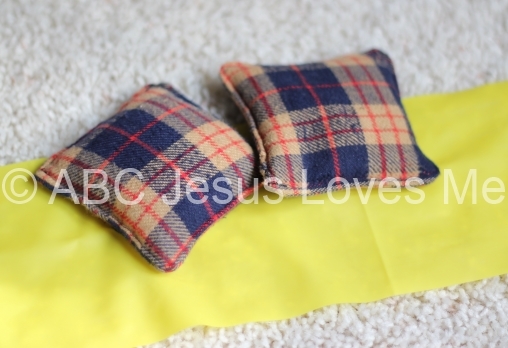 Tie yarn in each hole to create a strap. Decorate and go bird hunting. - Play the Create an Animal Ocean Computer Game - Place the ocean animals in the water. 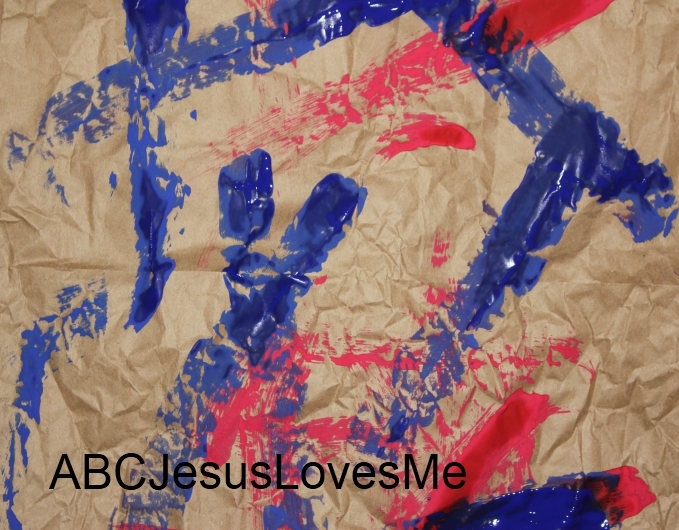 - Using red and blue colors, paint or draw lines on a piece of paper. Make intersecting horizontal, vertical, and diagonal lines. - Use a long piece of painter’s tape, draw a line with sidewalk chalk, or go to a playground that has a balance beam and walk on the line. Note: Do not use masking tape, as it will leave a residue. Using a fork and spoon requires a lot of trial and error and patience. Use toddler-sized utensils. From my experience, metal utensils are easier to use than plastic. Yogurt is a great food to teach spoon use as it stays on the spoon well. For the fork, use foods that can be stabbed. Make sure the food does not move too far up on the fork and the bite isn't too big. This week focuses on the child's first and last name. Work on the child clearly pronouncing his/her first name. Teach the child to look the person in the eyes when he/she is asked his/her name. Color the Five Speckled Frogs green. Cut out. Place a brown “log” made of construction paper on a piece of paper, board, or mat. Using sticky tack, place the five frogs on the log. As you read the book, pull the frogs off the log. Tear paper - all different kinds in different shapes and sizes. Let the child tear, tear, tear. This will make a mess; but nothing that a broom and dustpan can't handle! Discuss how it is okay to tear scrap paper but it is not okay to tear anything else. Throw a bean bag or light-weight object toward a line. Try to land the bean bag on the line. 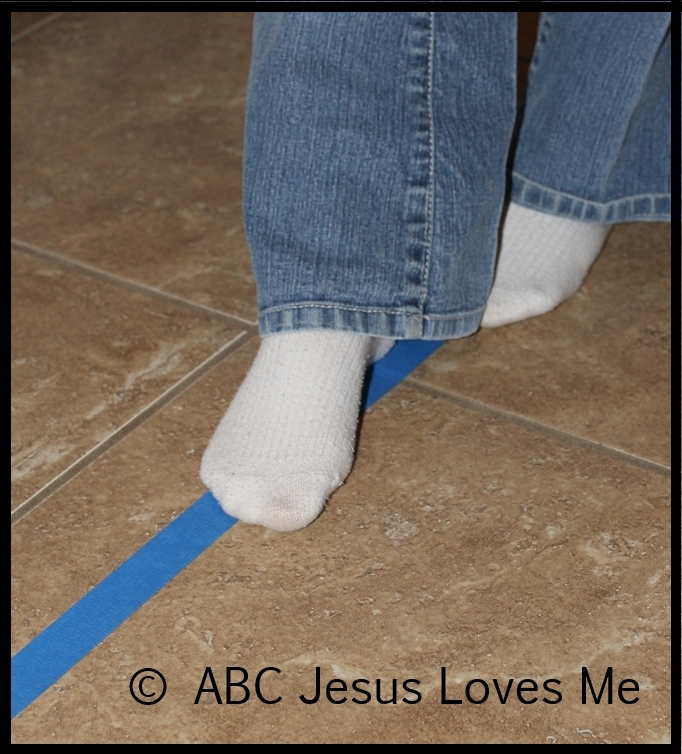 Use painter's tape, rope, or ribbon to create the line.